Today, the Department of Justice, FBI and U.S. Postal Inspection Service (USPIS) announced the results of a four-day long, nationwide law enforcement operation, called Operation Disarray, which targeted vendors and buyers of opioids and cocaine on the Darknet. This operation was the first coordinated action by the new Joint Criminal Opioid Darknet Enforcement (J-CODE) Team. These results were announced by Attorney General Jeff Sessions, FBI Director Christopher A. Wray and U.S. Postal Inspection Service Chief Postal Inspector Guy Cottrell. During the March 27 to 30 operation, FBI, USPIS, and local law enforcement made eight arrests related to Operation Disarray. Agents conducted more than 160 interviews nationwide of people who have bought or sold opioids and other drugs online. Leads from the investigation identified 19 overdose deaths of persons of interest. 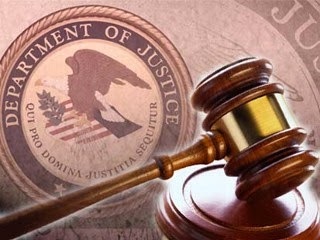 FBI, USPIS and the Internal Revenue Service Criminal Investigation (IRS-CI) also executed numerous search warrants, which resulted in the seizure of weapons, drugs, counterfeit currency, and computer equipment. During the operation, law enforcement agents distributed literature regarding the dangers of opioid abuse, as well as, offered support for those affected by the opioid epidemic. The investigation is ongoing. The J-CODE Team is a new FBI initiative announced by Attorney General Sessions in January 2018, and is aimed at targeting drug trafficking, especially fentanyl and other opioids, on the Darknet. With this team, the FBI is bringing together agents, analysts, and professional staff with expertise in drugs, gangs, health care fraud, and more, and our federal, state, and local law enforcement partners from across the U.S. Government, to focus on disrupting the sale of drugs via the Darknet and dismantling criminal enterprises that facilitate this trafficking. Operation Disarray is the J-CODE’s first joint, nationwide coordinated operation. Attorney General Sessions thanked our law enforcement partners on the J-CODE team, to include the FBI, USPIS, Department of Justice Criminal Division’s Computer Crime and Intellectual Property Section and the Organized Crime and Gang Section; Drug Enforcement Agency; Bureau of Alcohol, Tobacco, Firearms, and Explosives; Department of Defense; IRS-CI; U.S. Immigration and Customs Enforcement’s (ICE) Homeland Security Investigations (HSI); and Financial Crimes Enforcement Network (FinCEN) for bringing expertise, professionalism and a shared desire to combat this epidemic. Through continued collaboration and determination the successes J-CODE will continue to forge a positive difference and outcome.